After the victory of Congress in the state of Rajasthan, the new authority has come up with a new list of scheme, which will bring a smile on the faces of the common people in the state. The first project that has been announced is targeted towards the betterment of the agricultural workers. Most farmers lack the financial power to meet their monetary requirements during the sowing season. So, they approach several financial organizations for credit. However, these loans come with high interest rates, which put pressure on poor farmers. Thus, the Congress government has made high claims about the implementation of a brand new loan waiver scheme for state farmers. This program has been named the Farmer Loan Waiver Scheme in Rajasthan. 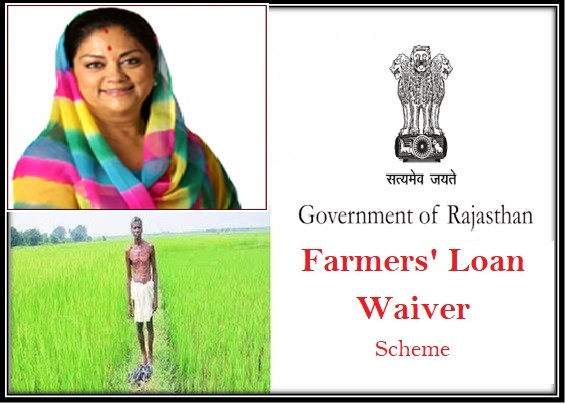 Loan amount to be waived off – Earlier, Vasundhara Raje has announced that her government will forgive Rs. 50,000 farmer loans. To attract the attention of the state farmers, the current government increased this amount to Rs. 2 lakhs. Date of loan approval – It has been mentioned in the project scheme that only those candidates will be able to attain the monetary benefits who applied and attained the agri-loan before 30th November 2018. Financial organization – The scheme will be implemented in diffident phases. In the primary phases, applicants who had taken credit from national cooperative financial organizations will be offered the benefits. Later on, applicants, who got credit from other banks, will also be incorporated in the scheme. Estimated budget allocation – The former state authority had allocated a budget of only Rs. 8 thousand crore for the benefit of farmers under similar projects. But the new authority has allocated a whopping budget of Rs. 18 thousand crore for the scheme now. Small and marginal farmers only – Poor farmers suffer most when it comes to loan repayment. Thus, the state government has announced that this project is only open for marginal and small agricultural workers. Loan for crops – This scheme will only offer waiver benefits to those applicants who used the loan amount for growing their crops. Purchasing farm machinery or other necessary items will not be considered under the scheme. Selected banks only – Only selected government and cooperative banks will be recognized under this program for the time being. Date related requirement – The scheme related announcement also highlights that applicants who have received agricultural loan after 30th November 2018, will not be included in the beneficiary list. Bank documents, which contain credit details must be furnished for authentication. Residential criterion – As the scheme has been exclusively implemented by Rajasthan government, only legal and permanent residents of this state need apply. If the applicant does not have proper residential certificates, then he will be barred from getting the benefits. How to get application details and register? The Kisan Loan Mafi Yojana or Farmer Loan Waiver Scheme is a recent development in Rajasthan. The CM has only announced that it and will soon start work on its actual implementation. As farmers in rural areas are the primary targets of this scheme, it is estimated that both offline and offline enrollment procedure will be followed. Once the Rajasthan government makes an official statement on the registration procedure, you will get the details on this site. For the online registration mode, the state government will launch a separate website, through which all applicants will be made. Once the registration process starts, the state government will prepare a list of beneficiaries. Applicants will be able to check this list to ensure that they will attain the financial benefits, as promised by new Rajasthan government. Candidates will have to log in on the official portal, and click on the specified list to generate the beneficiary list. The Rajasthan Agricultural Department will upload all details on the portal. In case applicants don’t have access to internet, they can get necessary details from the nearest Agricultural Department office.